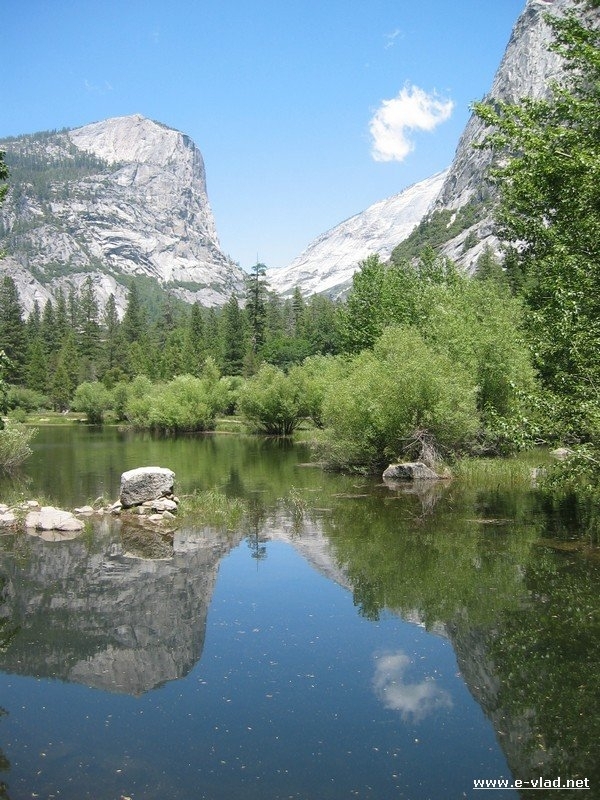 Yosemite National Park is a great travel destination both for the backpacker and the entire family. Weather you love to backpack for days or you just enjoy day hikes with your family, Yosemite National Park has something for everyone. I have visited Yosemite many times and each time I have done something completely different and fun. However, if you’re visiting for the first time there are a few Yosemite hikes you simply must do. Yosemite is a hiker’s paradise! There are so many trails in the Yosemite area that it would take you at least 10 days to do most of them. How do you pick the best Yosemite hikes then? I have visited Yosemite many times and I have brought many friends here for the first time. Over the years I have found the best combination between hiking time, difficulty and enjoyment. Put your good hiking boots on and come along with me on my favorite Yosemite hikes. The Mist Trail is by far the most popular of Yosemite hikes. This is for good reason, because you get to see two of the most spectacular Yosemite waterfalls (Vernal and Nevada), a beautiful lake (Emerald Pool) and some of the most spectacular scenery in Yosemite. I bring everyone here if they come for the first time in Yosemite. If you’re hitting Yosemite trails in early Spring (April, May) make sure you take some rain gear for this particular hike. Bring at least a large trash bag that can cover you head to toe. This is why they call it the Mist Trail…because there is a constant mist from the waterfalls. Believe it or not, you will get soaked especially until you reach the top of Vernal Fall. Hiking to the Vernal Fall bridge lookout would take about 1 hour and then another hour to get to the top of Vernal Fall. It takes another hour to the top of Nevada falls. Read my guide for hiking the Mist and John Muir trails. You can take small kids to the Vernal Fall bridge overlook, but not further. If your kids are older they will definitely enjoy to hike further, but they’ll be very tired once they get to the top of Vernal Fall. 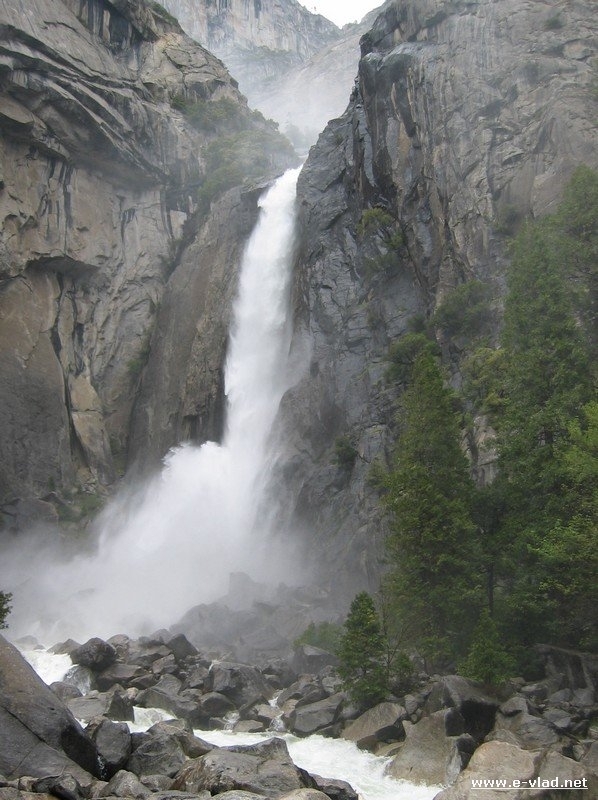 If you decide to hike to the top of Nevada Falls, make sure you cross the bridge over Nevada Fall and return on the John Muir trail instead of taking the Mist trail back. This is my favorite way to enjoy this amazing Yosemite Hike. 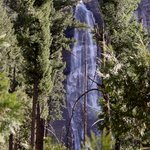 Upper Yosemite Falls trail is the most strenuous of my favorite Yosemite hikes. Even though tougher, Upper Yosemite Falls hiking trail is the second most popular trail in Yosemite. The hiker zig-zags parallel with the waterfall itself all the way to the top. It takes a good 3 hours to reach the top but like most hiking trails in Yosemite, you will definitely be impressed once you see the views from the top. Once at the top, there is a ledge that was built so that people can walk right next to the point where the water starts dropping down. If you’re there in the spring, the sound of the water going down is deafening. 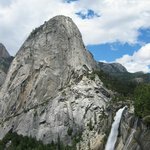 Read my guide for hiking the Yosemite Falls trail. Hiking the upper Yosemite Falls trail in Yosemite National Park, California. This is a very hard hiking trail for children, period. I would say that children would have to be 10 to 12 years old at least to be able to do it. Make sure you bring plenty of food and water with you. Half Dome trail is the longest and most challenging of my favorite Yosemite hikes. Hiking Half Dome requires lots of physical strength and endurance. In addition, hiking past the base of the subdome, requires a hiking permit. You can hike to the top of Nevada Falls without a permit but no further than the base of the subdome. Even camping in Little Yosemite Valley requires a permit. 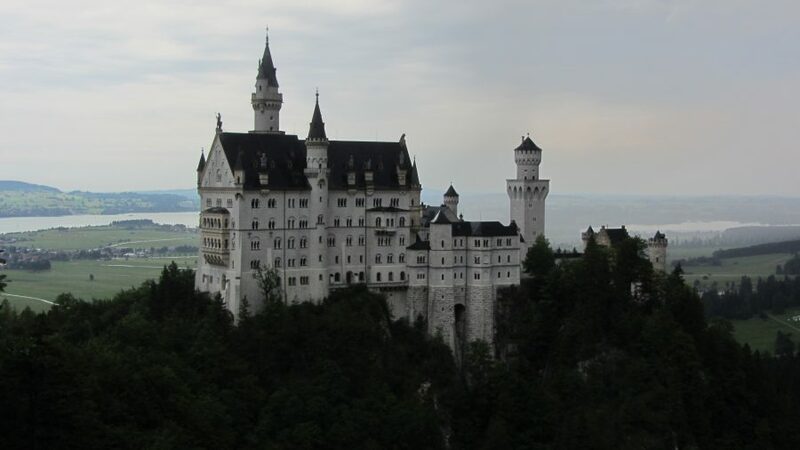 The total hiking time can vary, but the round trip can be done easily in one day if you are in good shape and ready to hike very early in the morning. 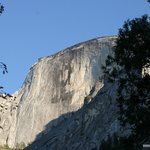 I have hiked Half Dome twice, once coming from the Yosemite Valley floor (left at 6:30am and made the top around 1pm), and another time coming from Tuolumne Meadows. The shortest way is to take the Mist Trail all the way up as it connects with the Half Dome Trail and John Muir Trail. On the way down, right before Nevada falls, I love taking the John Muir trail to the valley floor as it gives you beautiful views of the waterfalls. 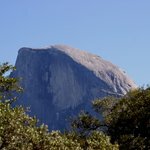 Even though the longest of the day hikes in Yosemite, Half Dome trail is the third most popular of Yosemite hikes and my favorite. 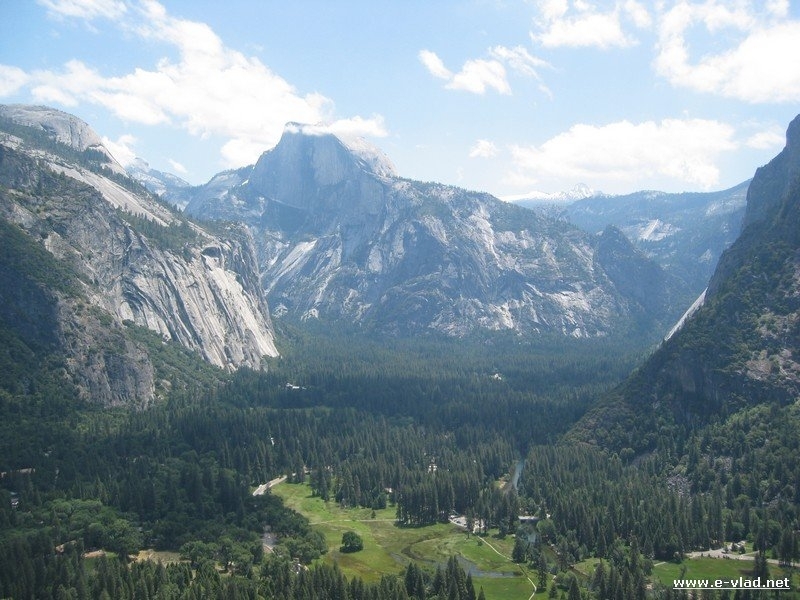 The Lower Yosemite Loop Trail is one of the easiest Yosemite hikes. Starting right at the bus stop, the Lower Yosemite Falls hike is short, easy and excellent for families with small children. In the spring especially, lower Yosemite Falls is filled with water and it is very noisy and exciting to hear and watch. Arriving at the base of the falls in late spring, the water is very powerful and you feel as if you’re close to a jet engine taking off. Along with Mirror Lake trail, the walk to Lower Yosemite Falls is the easiest of all the trails in Yosemite. Mirror Lake trail is the easiest of Yosemite hikes. I wouldn’t even call it a hike…it’s a nice stroll mostly on a paved road. This trail is great for small children as well, but might be a bit boring for older children. The lake is not that exciting but on a sunny day you can see the mountains being reflected in the face of the lake. It is a mirror indeed ! This hike would take about 1 hour at the most. Read my hiking guide for hiking to Mirror Lake. Yosemite mountain peaks are seen reflected in the still waters of Mirror Lake. Mirror Lake loop trail is best to hike in early summer because the lake would be filled with water. During early winter and late fall, the lake can be almost dry and not very interesting. It is very easy to find directions to Yosemite. Just a simple search in Google Maps or a visit to the park’s official website. It takes about 5 to 6 hours from Southern California…well depending where you’re coming from. Holidays are very, very, very busy and if you can avoid holidays it’s well worth going another time. 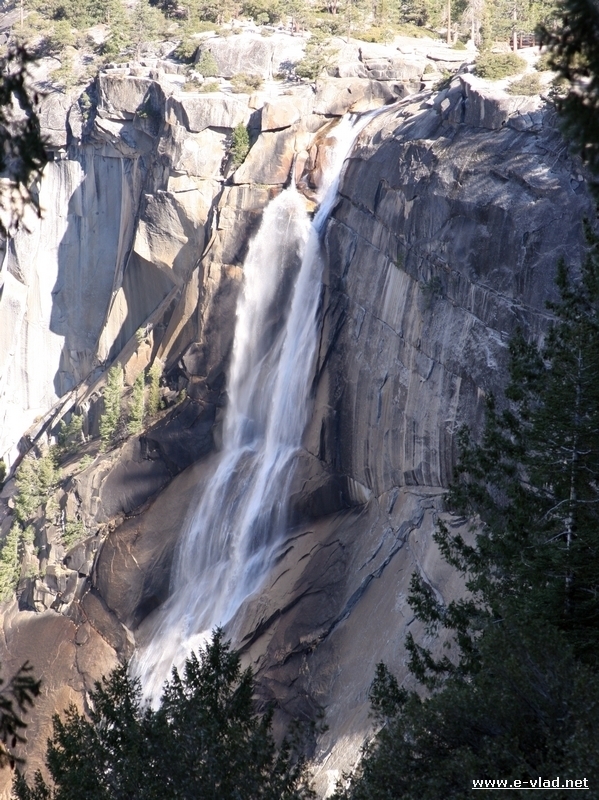 The main attractions of Yosemite National Park are the many amazing waterfalls. So, the best times to visit are when there is plenty of water in the waterfalls. Water is plentiful in the early spring, and early summer. However, if you visit in the middle of summer or early fall you might be surprised to find many of the waterfalls dry as a rock. If you are planning to spend more time in Yosemite, check out one amazing week in Yosemite National Park. Hiking Half Dome? Read all the information about getting a hiking permit to the top. 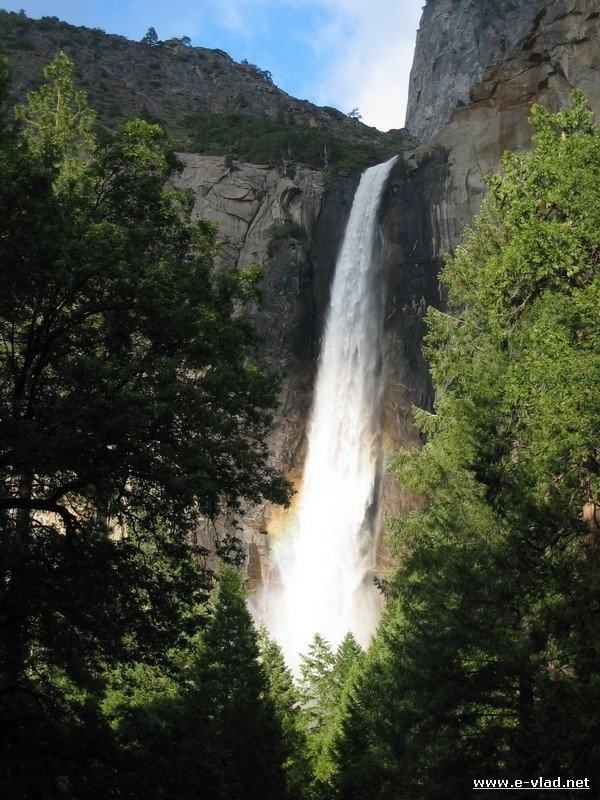 For a list of day hikes check out the park’s website at: Yosemite Day Hikes.